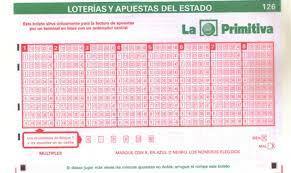 One of the world’s oldest lotteries and Spain’s oldest and most popular lottery is the “La Primitiva”. It is Spain’s national lottery and is also known as “Loteria Nacional”. This lotto originally begun in the 18th century as a 5/90 lottery meaning each player picked 5 balls from a pool of 90. This lottery which was first drawn on December 10, 1763 was abolished in 1862. However, on October 1985, the Primitiva lottery was reinstated by Royal Decree, and on December 10, 1985, the first draw of the new La Primitiva took place. Ever since the reinstatement of the lottery, it has been operated by the Loterias y Apuestas del Estado. Today, the popularity of this Spanish lottery has continued to increase to the extent that it is now being played by players all over the world through the use of the internet. 70% of the revenue gotten from this lottery is used to increase the amount and the number of prizes making jackpots higher with approximately 35% of tickets having a chance of winning a prize. The modern Primitiva lottery uses the 6/49 lottery format which they still use today. The Primitiva Lottery follows basically the same format which most lotteries follow. Draws are held weekly on Thursday and Saturdays at the “Loterias y Apuestas del Estado” lottery studio located in Madrid – Spain. Tickets of the La Primitiva can be purchased from certified lottery agents in Madrid, Spain. At first, participants had to be in Spain to play the game but nowadays, with the invention of online lottery websites such as the Lotter, La Primitiva can be played by any one regardless of Geographical location via these trusted lottery sites on the internet. To play the Primitiva lottery, each player is expected to select six numbers which range from 1 to 49. Players can choose whether they wish to play for a single draw or for both draws. Remember that draws are held on Thursdays and Saturdays at 9:30 PM. If a player purchases a ticket between Saturday and Thursday, he or she can participate in the draw on Thursday night. If the ticket is purchased on Friday or Saturday, the player will automatically take part in the draw on Saturday night. However, if the player wishes to take part in both draws, he will need to choose the option when he purchases the ticket. If a player’s six main numbers match the six main numbers drawn and his Reintegro number matches the drawn Reintegro number, that player wins the top prize which is the jackpot. This number – the Reintegro number is a number assigned to the player by the organizers of the lottery after the player’s entry has been validated so the original entry will not contain the Reintegro number, Sometimes, players have to wait up to a day to get their Reintegro number which can be sent via separate email or directly into the players account. If a player purchases tickets in advance for future draws, the Reintegro number for each of the tickets will be available when that ticket’s draw becomes available. Matching the 6 main balls and the Reintegro ball gives players a chance to win an additional amount on top of the jackpot amount. This additional amount is to make sure that jackpot winners enjoy a larger jackpot amount. If at the end of a draw, the jackpot is not won, the jackpot amount is rolled over. La Primitiva has a seventh number which is drawn from the same drum which holds the 6 main numbers. This number which is known as the Complimentario number or bonus ball. This ball does not have any part to play in determining the winner of the jackpot nut instead counts towards the second-place prize which is won when a player matches 5 numbers plus the Complimentario number. As has been mentioned above, the Primitiva Lottery jackpot is won when a player’s main balls and Reintegro number matches the main numbers and Reintegro number drawn. All prices in the Primitiva jackpot type are tax-free and are paid as a lump sum. The second price is won when a player matches all six main numbers without the Reintegro number and the price is about €100,000 or more depending on the pool of funds available for prizes. The third price which involves matching 5 numbers plus the Complimentario number can be around €90,000 and above. The fourth, fifth and sixth numbers are won when a player matches 5, 4 or 3 main numbers respectively. If a player matches just the Reintegro number, he or she wins a prize which equates to the amount of a ticket. The largest most recent jackpot ever recorded in the Primitiva Lottery - €26.2 was won in April 2017 by a single winner who hailed from Monteagudo, Murcia – Spain. The jackpot prize starts at €3 million. But the largest La Primitiva jackpot ever was won on August 3, 2013 by a single ticket. The jackpot was worth about €66.6 million. The costs of lottery tickets vary depending on the number of lines played and the number of future draws the player wishes to be considered for. However, for as little as €1.75 per line, you can participate in this lottery and stand a chance to win a whopping sum of €4,600,000. Purchase your ticket online from one of the many trusted and certified lottery websites such as lottosend.com.